The ARC Recommendations Committee of the Belle Terra community delivered the final version of the new Belle Terra Architectural Guidelines to the Board of Directors for consideration. Dave worked as the technical writer who helped the committee draft the new guidelines. David Keener unveils a sleek, new look for the KeenerTech web site, replacing the original look-and-feel that the site launched with in 2004. On behalf of the ARC Recommendations Committee, Dave delivers revision 0.8 of the Belle Terra Architectural Guidelines, the first version to be submitted for external review. Dave volunteered in April as a technical writer to help the Belle Terra community draft new guidelines. David Keener attended the 64th World Science Fiction Convention in Anaheim, CA, from August 23 to August 27. 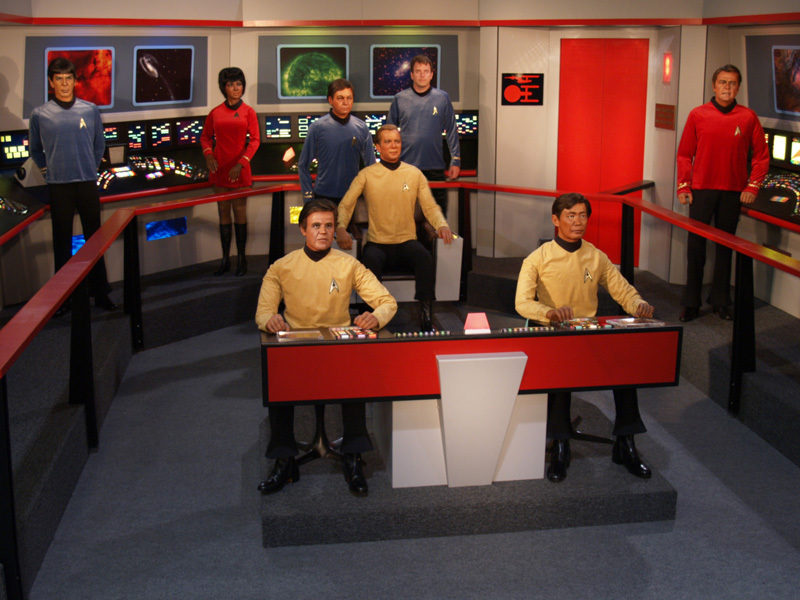 One of the highlights of the trip was a visit to the bridge of the Starship Enterprise. Dave also supported the convention by working as a volunteer. The Keeners went to Scotland for vacation from April 16 to April 25. Highlights included visits with Sally’s relatives, shopping, various pubs and indoor skiing at the new XScape center adjacent to the Braehead Mall. The Keeners visited the Lake Anna cabin of Andrea and Roger Monaghan. The cabin is advertised on the web as Lake Cabin Retreat, and is a splendid rental. Highly recommended. 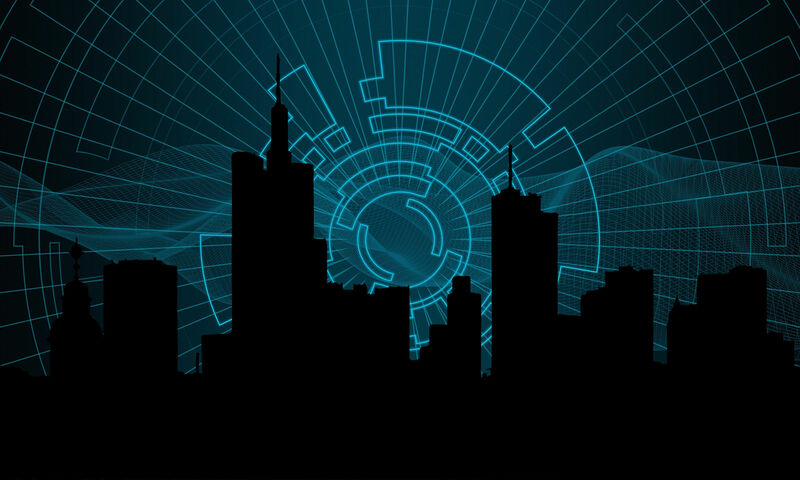 The initial version of the Belle Terra web site launches. The site includes key HOA documents, as well as extensive information about the Belle Terra community. An early version of the Belle Terra community web site was demonstrated to the Board of Directors. Attendees included Michael Lowman, Tim Holmes, John Johnson, Al Wilhelm and Caryn Moran, plus hosts David and Sally Keener. The demonstration was well received; only minor text changes were requested by the board. 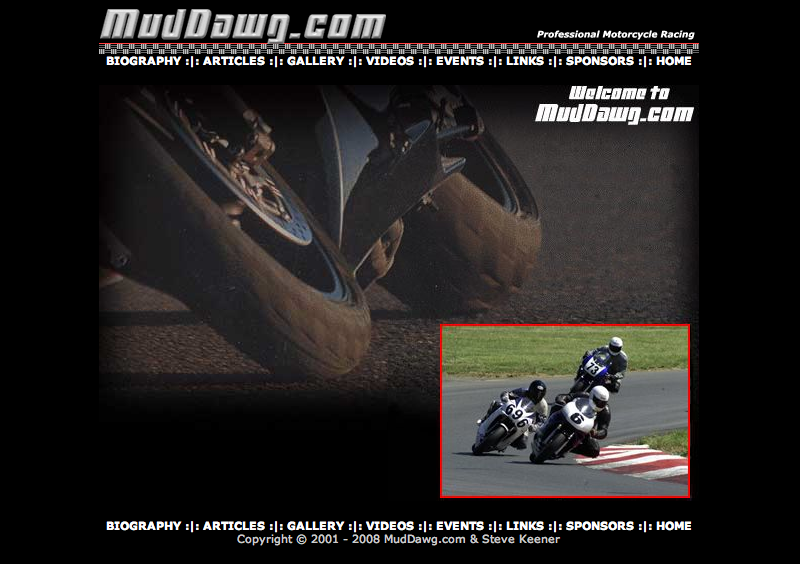 The web site for the MudDawg professional motorcycle racing team went live today. The web site embodies a stark, minimalistic design that conveys speed to viewers. To add interest to the Home page of this site, the inset picture changes randomly every time the page is displayed. One downside to a page design like this one is that there’s really no text content on the Home page, so search engines can only classify it based on the title and any metatags that are defined. Note: (2018/01/13) The web site was online with this design from 2005 to late 2009, when the design was adapted to fit into a WordPress theme. David Keener attended Interaction, the 63rd World Science Fiction Convention in Glasgow, Scotland, from August 4 to August 8. The convention coincidentally took place during David and Sally Keener’s regular vacation to Scotland.